The UK government has increased pressure on the construction industry to modernise with digital design and prefabrication, saying it wants the techniques used to deliver £600bn worth of infrastructure over the next decade. Announcing its annual “pipeline” of planned work, the Treasury said construction’s productivity was still too weak, and that a school could be built in a few months rather than a year if components were standardised and built in factories. Ministers used the announcement this week to call for evidence from industry on using standardised “platforms” for building new transport and social infrastructure like schools, social housing and prisons. The exchequer secretary to the Treasury, Robert Jenrick, said that “as the pace of technological change accelerates, we are stepping up our commitment to digital infrastructure, use of data to drive greater productivity and embrace new methods of construction”. The government said digitally-designed components should be used “wherever possible” on government construction jobs. Government will not define the components, rather it wants the initiative to be led by industry, “whose responsibility it is to innovate and provide best value solutions”. Politicians have long called for offsite technology to be used in public sector projects, but the emphasis on standardised components is new. It follows the Greater London Authority commissioning Modernise or Die author Mark Farmer and architect Bryden Wood to develop a “Manufactured Housing Design Code” in April this year, for social housing. They hope such a code would include a catalogue of standardised building components for architects to specify, creating demand that future manufacturers could meet. The government said its platforms proposal would be backed by research to design and test the components, and develop standards. 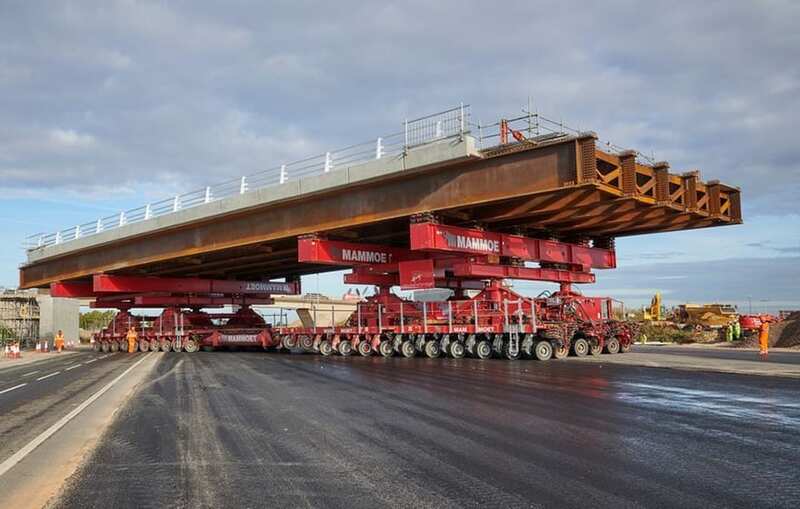 The technique has been used already in road projects, including the A14 Cambridge to Huntingdon highway improvement scheme, where two, 1,000-tonne bridges were fabricated beside the road and wheeled into place in September this year (pictured). “Government is the largest client for infrastructure projects so has an important role in using its purchasing power to drive improved productivity in their delivery,” said chief executive of the Infrastructure and Projects Authority, Tony Meggs. Mark Reynolds, chief executive of top 10 UK contractor, Mace, welcomed the government’s emphasis. “Modern methods of construction are key to dramatically increasing our industry's productivity, quality and safety challenges. It is encouraging that the Government recognises the benefits of MMC and is committed to its adoption through public procurement,” he said, reports Construction Manager.